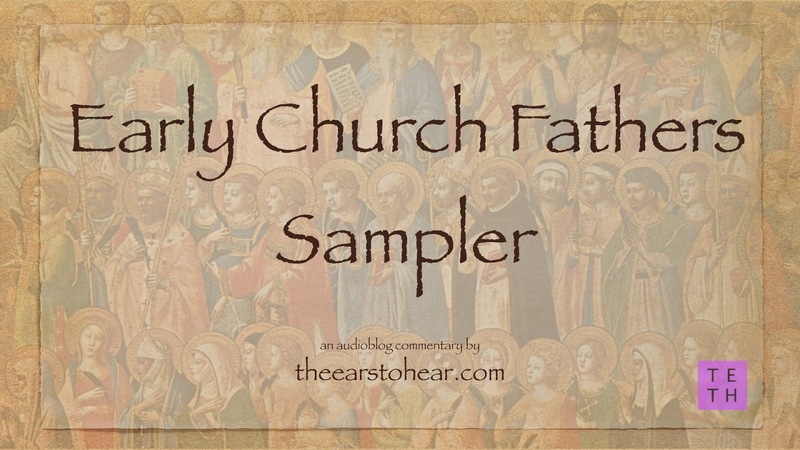 Primitive Baptists identify themselves as adhering to the original or “primitive” faith once delivered to the saints both in doctrine and in practice. As such we remain committed to the notion of defining and defending our beliefs solely on the foundation of scripture. So when we hear of our brothers and sisters in Christ among the Southern Baptists promoting a notion they call the Founders Movement - it gets our attention, because Primitive Baptists have long contended that the doctrine and practice of modern-missionary-style-Baptists are very much the result of their departure from the doctrine and practice of the first century church described in the New Testament. 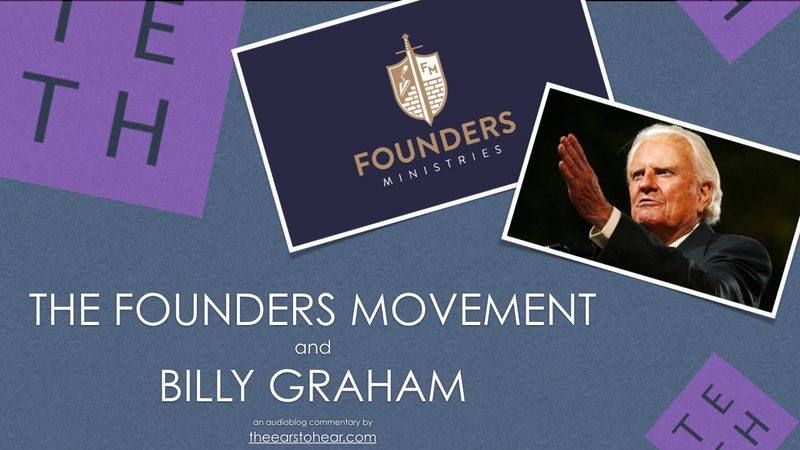 Having examined their writings, however, I find that their well-meaning efforts at reforming the SBC are fundamentally flawed and contradictory. Let's take a look at what I mean by that. 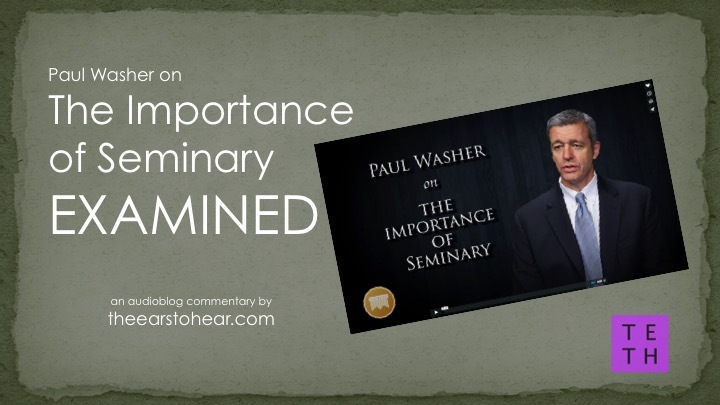 This video endorsement of The Master’s Seminary by Paul Washer was recently called to my attention. I must admit that I have mixed feelings about Washer. 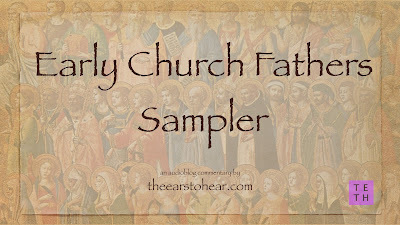 While his preaching on the subject of depravity is among the best I’ve ever heard, I have found that this is radically offset by numerous instabilities and doctrinal errors found elsewhere in the popular brand of Calvinism he promotes, the foremost being the suggestion that though Jesus Christ only died for the elect, that the is nonetheless sincerely offering eternal life to all of humanity, including those for whom he did not die. In the following video, Washer goes on to reveal a host of other instabilities lurking in his particular flavor of “reformed” theology. 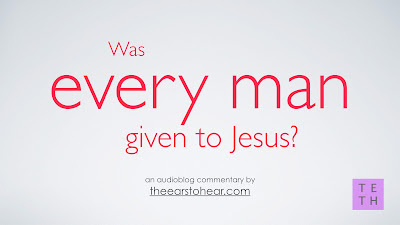 Was Every Man Given to Jesus? The bible establishes that the Father gave a people to Jesus Christ (John 6:37) and that Jesus Christ covenanted to save those people (John 17:2,11, 24). It follows that we stand to gain a great deal of understanding about the covenant of salvation by answering one simple question - Was every man given to Jesus? 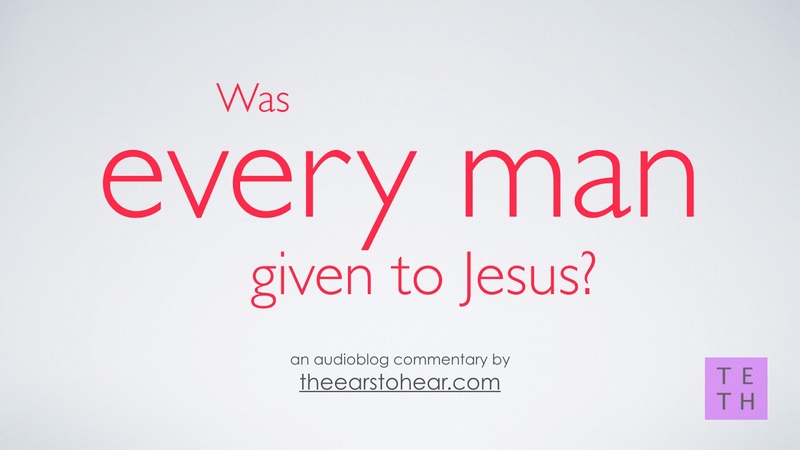 (wherein "every man" = "all of humanity") Based on the aforementioned covenant promises that Jesus Christ has entered into regarding this given people we should start with two observations.